Mankind depends on exploration. We long to satisfy our curiosity for what lies in every direction, expanding trade routes and learning to adapt to new terrain. And while it used to suffice us to explore our Earth, we’re now directing our gaze somewhere much, much further from home. Star systems light years away are the future — not only because our focus is set on finding a second Earth and because the idea sounds ultra romantic and pioneering, but because it really is necessary to someday reach them. Our brilliant sun will kill the habitability of our planet in a mere 1 billion years as it increases in brightness by 10%. That’s enough to evaporate our oceans and make conditions too hot for us to live. Our closest neighboring star is Proxima Centauri, around which a possibly habitable exoplanet orbits just 4.2 light years away. Let’s be frank about traveling to the Centauri system: traditional rockets and modern methods of space travel just aren’t going to cut it. We use crafts with low-thrust ion drives, chemical rockets, and gravitational maneuvers around planets to explore outer space. Our fastest rocket, the Apollo 10, reached a top speed of 25,000 miles per hour. Fast. Yet at that speed it will still take us hundreds of thousands of years to get to our interstellar neighbors. We need a method of travel that will allow us to get there within a human lifetime. That is, we need a craft that can travel at least 10% the speed of light. A bit of literal rocket science first. Classical rocket equation, also known as the Tsiolkovsky rocket equation after the Russian scientist that derived it. The Tsiolkovsky rocket equation tells us that the maximum velocity is based on the fuel mass, exhaust velocity (how fast the exhaust gas leaves the rocket’s engine), and the overall mass of the ship. The reason why our rockets need to be significantly bigger than the ships they’re putting into space is because speed and deceleration both require a certain portion of the craft to be fuel. Doubling a craft’s exhaust velocity and not slowing down when it’s close to its destination would mean it needs to be 86% fuel. If you want to decelerate, that would require 98% of the rocket to be fuel. Tripling a rocket’s speed and allowing it to decelerate brings the figure even higher, requiring 99.75% fuel and leaving just .25% for the mass of the actual ship. Proposing to do interstellar travel with the rockets we have now would require a tank larger than the observable universe. So what technology can we use to get us across the 4.2 lightyear distance? 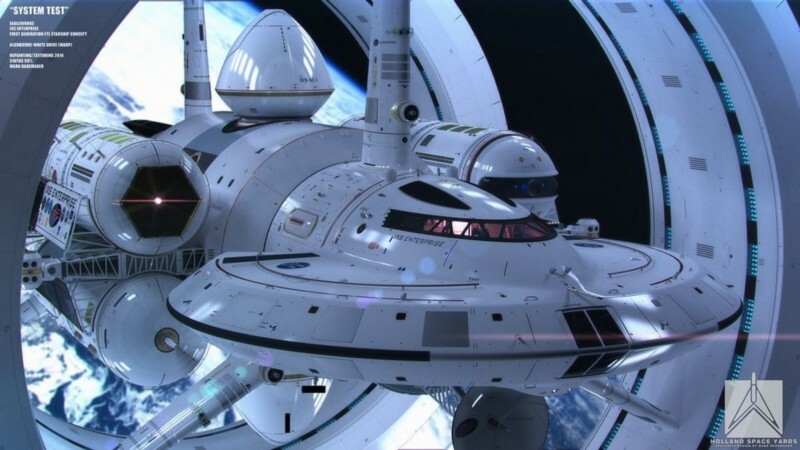 NASA commissioned renditions of what a warp drive could look like. We need fuel with the maximum amount of energy density — converting rest mass into energy such as during the fusion that takes place within the sun. If we increased our nuclear arsenal by 200 we could detonate the bombs behind our ship and use that explosion to propel us forward. 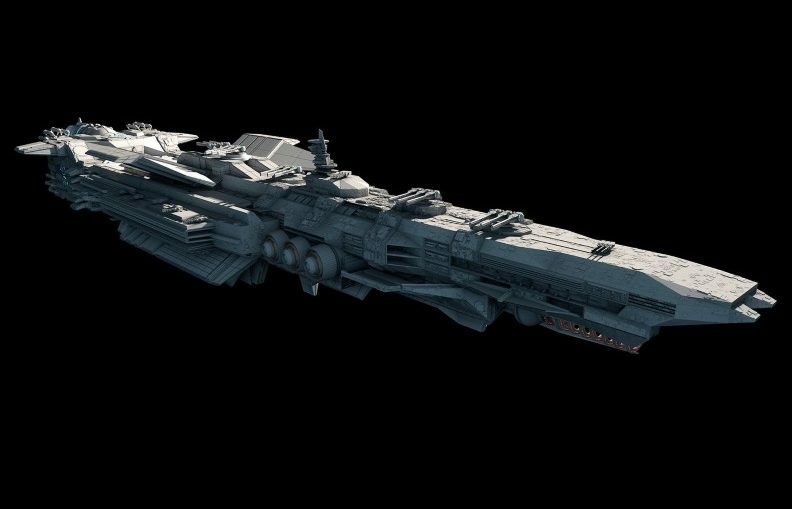 We’d need 300,000 bombs total, allowing them to take up 75% of the ship’s mass. In a month of detonations we could reach 10% the speed of light and, after conserving half the fuel to slow down, we’d reach our next star system in a little under 90 years. This is, of course, a one-way trip and the humans that left Earth wouldn’t be the ones to colonize the new planet. Travel using bomb detonation was considered for the Orion project in the 1950’s though we’re currently under a treaty that prohibits detonations of nuclear bombs in space. Besides that, fusion isn’t the most efficient way of turning rest mass into energy. The most efficient method — near 100% — would be an antimatter drive. And we can make antimatter using particle accelerators. When a particle of matter and antimatter meet, they destroy each other and leave their rest mass as usable energy. They have 50 times more energy per kg of fuel than the aforementioned fusion method. This means a mere 10 grams of antimatter could take us to Mars in a month. Annihilate the particles in the engine nozzle and direct the energy flow to propel us onward. And the more antimatter we made, the faster we could go, making a trip to Proxima Centauri as short as 3 or so years. The problem here is that antimatter is slow, dangerous, and extremely expensive to make. Even just the small amount of it we’d need for interstellar travel is out of our current reach. We’d have to scale up by 100²⁴ to consider tech like pion rockets. 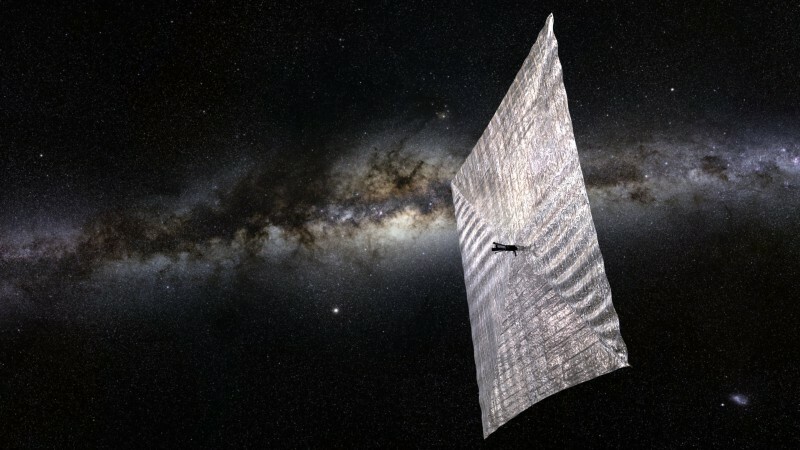 This year The Planetary Society will attempt the first, controlled solar sail flight in Earth orbit by launching LightSail 2. We can, however, make a light sail capable of reaching 10% light speed with the materials we have now. A light sail is exactly what it sounds like — a large sapphire-coated (or coated in some other reflective and heat resistant material) sail that is thrust forward by the energy from a huge beam of light that we’d blast from the moon. 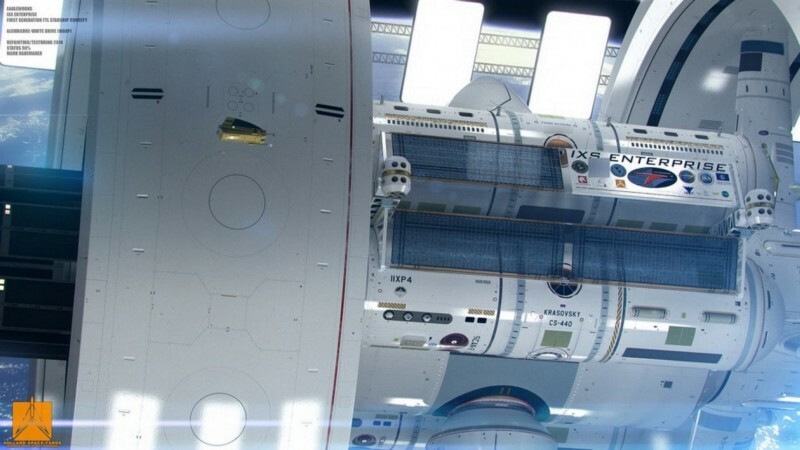 The beam would have the power equivalent of 100 nuclear plants and would require either helium-3 reactors or solar panels in place around our sun. The Breakthrough Starshot project, supported by Stephen Hawking, uses small “StarChips” that attach to a light sail which would deploy from the main ship and then be propelled forward by powerful lasers to reach up to 20% light speed. Finding powerful enough lasers is their main problem but researchers hope to have a prototype by 2036. If it works, that would mean the Centauri system would be just 20–30 years away. It should be noted that going over 10% the speed of light will also increase the chances for collisions. As it is, one should expect to encounter things twice as big only half as often. But traveling at such fast speeds would make even very small space debris capable of damaging the ship. That’s another suggested use for light sails — sending one or several in front of the ship could act as a kind of umbrella of protection. Space is not an empty void. Even if it appears to be. Other possibilities for interstellar travel include warp drives that manipulate the fabric of space to propel us forward at seemingly impossible faster-than-light speeds and the Schwarzschild Kugelblitz which is essentially an engine powered by a black hole. We could create the black hole by concentrating enough light in a small enough space. The hawking radiation from the black hole would then provide our energy. 10,000 times the energy the world consumes, actually. We could also compress matter using gamma rays to create the hole, though in both methods the lasers would have to be even more powerful than the resulting black hole itself. Working a little differently than all the methods mentioned so far is the Bussard Ramjet that gathers the traces of gas and dust in space to compress them and then use them as fuel in a fusion rocket at the rear of the craft. It doesn’t carry its own fuel — it gathers fuel from the medium of interstellar space. As luck would have it, however, the area in and around our solar system is particularly thin and doesn’t have enough gas and dust to power the Bussard Ramjet. In designing our ship of the future there must be a balance between how fast it can go and how long it will take us to make it — a consideration called the wait calculation. We don’t want to launch a ship full of people only to have them overtaken by a newer, faster ship a few years later. But we also don’t want to wait too long. Saying “we can’t launch now because there’ll be better technology next year” is an excuse we could keep using forever, but we shouldn’t. After all, we only have about a billion years to figure this out.